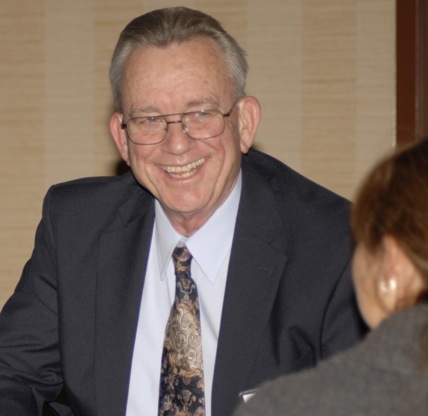 Dr. Don Walsh spoke to attendees of the Eighth Annual International Hoof-Care Summit held Feb. 1-4, 2011 in Cincinnati, Ohio. The meeting theme, “Coming together for better hoof care”, brought the latest, most innovative and forward-thinking information and ideas regarding the equine foot from hoof-care specialists from around the world. Dr. Walsh’s presentation, “Laminitis: Your Critical Role in Early Detection of the Disease Process”, described the early changes in the growth pattern in the hoof that may first be seen by the hoof care professional when trimming or shoeing a horse. These changes are seen when abnormally high levels of insulin are present in the blood, which could lead to laminitis, but before any sign of lameness occurs. When these early changes appear, Dr. Walsh suggests that owners be notified and encouraged to establish communication with their veterinarian to test the fasting blood level of insulin. Proper care including a low glycemic diet, increasing exercise, and medications if necessary can bring the insulin level back down into the normal range. 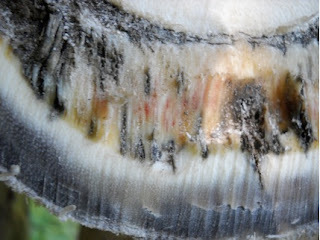 With proper trimming and hoof care laminitis can be prevented and a normal hoof re-grown. As Dr. Walsh says, “Prevention is always preferable to treatment”, when it comes to laminitis. This form of the disease causes slow changes in the foot, which can be reversed if detected early by farriers, hoof-care givers and veterinarians. Endocrinopathic laminitis in horses and ponies is a difficult disease to successfully treat and manage. It has the potential to cause extensive damage to the feet before clinical signs of laminitis are apparent. Early diagnosis and intervention are critical if the crippling changes that are seen in the disease are to be avoided Often the affected animal is presented with a history of acute onset lameness without ever being diagnosed with laminitis. Physical examination of the feet reveals dropped soles, abnormal growth rings on the external hoof wall, seedy toe and the presence of hemorrhages between the white line and the external hoof wall. Clearly all these changes are evidence of long standing pathology. Many of these animals are obese, but that is not always the case, particularly with Cushing’s disease. Farriers and hoof care givers performing the hoof care of the animal, if properly educated, can also alert the owner or veterinarian that something abnormal is occurring in the feet. It has been shown that the cause of this form of laminitis is associated with elevated levels of insulin. Insulin is a hormone produced by the pancreas and released into the blood stream to be delivered to insulin receptors on the cell membranes. Once the receptor has accepted the insulin, glucose is allowed to enter the cell. When a horse is afflicted with insulin resistance, the receptor no longer accepts the insulin. The horse’s response to this is to produce more insulin resulting in a higher level circulating in the blood stream. In humans the level of blood glucose also starts to rise and they develop type 2 diabetes. In horses this does not occur as the liver metabolizes the excess glucose and the glucose level in the blood remains normal. The excess circulating insulin affects the growth pattern of the laminae in the foot. It results in an increased proliferation of epidermal cells in the laminae and disrupts the integrity of the basement membrane. The exact mechanism which causes this is still unknown. When this process has gone on for a considerable time the foot is weakened and the supporting structures of the distal phalanx fail and clinical laminitis occurs. The laminitis that occurs may frequently be associated with the intake of spring grass, which causes already high levels of insulin to spike much higher in response to the large intake of non- structural carbohydrates in the grass. Most of these animals are removed from the grass, confined in a dry lot, and given pain medication (Bute or Banamine). The treatment makes the animal appear improved, but does nothing to address the real cause of the laminitis, high levels of insulin. The confinement in the dry lot further complicates the problem as exercise has been shown to be beneficial in lowering insulin levels in the blood. The acute bout of laminitis passes and the feet never recover because the problem is still present. In fact over time the damage to the feet is actually getting worse from the abnormal insulin levels. The hoof caregiver is being asked to improve the condition of the laminitic horse’s feet, but without correction of the abnormal insulin level he or she is doomed to failure. THIS CONDITION CANNOT BE TRIMMED OR SHOD AWAY. “YOUR HORSE HAS AN ABNORMAL GROWTH PATTERN PRESENT IN THE FOOT WHICH MAY BE THE RESULT OF HIGH INSULIN LEVELS. THIS WILL CAUSE LAMINITIS IF IT IS NOT CORRECTED”. If possible show the owner what you are seeing and explain how the hemorrhages seen are the result of early damage to the laminae. Advise them to seek veterinary assistance to check the fasting level of insulin in the animal, recommend an exercise and diet program to help reduce the insulin levels, and give medications which may be helpful. Additional testing for Cushing’s disease may be necessary to enable the proper drugs to be administered. The foot caregiver should volunteer to contact their veterinarian and explain what you are seeing and that you have recommended that they test the horse’s fasting insulin level. This is a great way to build a relationship with veterinarians in your area, and is much more likely to get the needed testing done after you have explained your findings. At our clinic we recommend a Cushing’s /Equine Metabolic Syndrome panel which includes ACTH, fasting insulin, glucose, thyroid. If Cushing’s disease is present the elevation in the insulin will only respond to the administration of pergolide. Thyroid medication is helpful in enabling the animal to lose weight and has been shown to lower insulin levels. If the owner cannot afford veterinary care you should explain that weight loss from feeding a diet low in carbohydrates and exercise will be beneficial for the animal. You should continue to monitor the feet, and progress back to a normal growth pattern should be occurring. The caregiver should trim the foot and move the breakover back by rockering the toe or backing up the entire dorsal hoof wall with the rasp. In horses suffering from dropped soles I recommend leaving the side walls a little long to help protect the dropped sole from excess concussion. The heel is usually growing faster than the toe (seen as wider growth rings at the heel than the toe) so try to trim more heel than toe. If seedy toe is present I recommend heat cauterization of the seedy toe area with a hot iron. This melts the keratin structures to produce an effective seal of the foot to prevent bacterial abscess from occurring after the trim. It also acts to bind the seedy toe together to reduce the further separation of the weakened hoof wall until the next trim is performed. If the owner is doing their part with a reduced diet and exercise, and the veterinarian is administering the proper medications and monitoring insulin levels, the foot should return to normal. This recovery period takes six to twelve months. If high levels of insulin have been going on for years and repeated bouts of laminitis have occurred, the possibility of returning to a normal foot is less likely but not impossible. This form of laminitis, called endocrinopathic, caused by high levels of insulin associated with obesity and Cushing’s disease, is the most common form of laminitis seen in our country. It is estimated to be responsible for 70% of the cases of laminitis. Early recognition and intervention by the foot caregiver can result in the prevention of this most common form of laminitis and enable us to free the horse of this disease.